Gloves made in our workshop and shipped within 48 hours! Driving glove with leather and crochet cotton below . 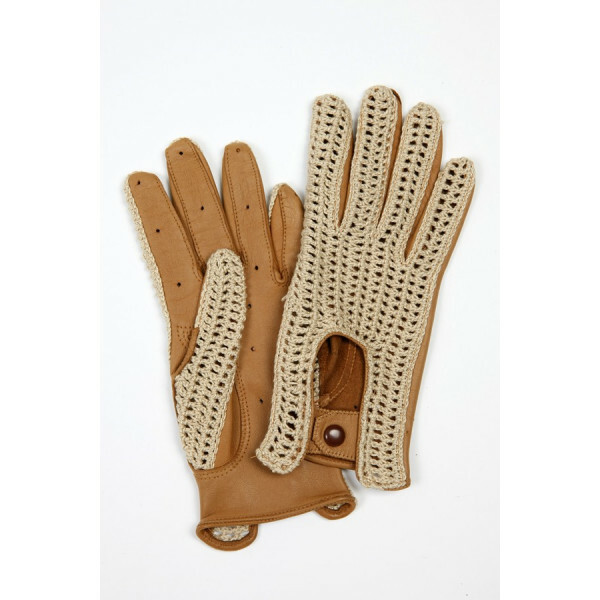 The glove presented : leather hazelnut with cotton crochet bellow.